Martin Luther King Day is observed in the United States on the third Monday in January each year. It is a day to commemorate the life and work of the civil rights activist. 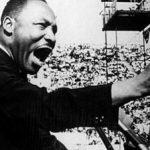 Martin Luther King Jr. was a key figure in the American Civil Rights Movement in the mid-20th century. King was a leader for African-American justice in the 1950s and 1960s. 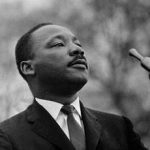 He led nonviolent protests such as the Montgomery Bus Boycott, the Selma to Montgomery Voting Rights March, and the March on Washington for Jobs and Freedom. He was one of the strongest driving forces of the Civil Rights Act of 1964 and the Voting Rights Act of 1965. His activism made him a target for those who opposed his work and opinions, and lead to his assassination in April of 1968. Shortly after his death, calls came to establish a holiday to commemorate Dr. King’s memory. It wasn’t until 1983 that Martin Luther King Day became a federal holiday. Dr. King’s natural leadership ability and powerful public speaking skills have made him one of the most recognizable activists in our nation’s history. His famous “I Have A Dream” speech is recognized as one of the most important and powerful speeches in American history. Martin Luther King lead a life dedicated to fighting for equal rights for all people. Today, and every day, we should honor his dream by working to treat everyone with respect and equality. We should look at every person around us as an equal, with valuable thoughts and feelings, deserving of our attention and respect. Although not everyone may have the same opportunities or access to education or advancement in their career, all are born equal. We should respect and honor each other, not only for what we have in common, but especially for what makes us different and unique. What a time period for not only black African Americans but for all humanity. Not all people embrace change, people resist change. I’m very grateful for all those who came before me. They lite the torch and ran the race so life could be what it is today vs 1950s.